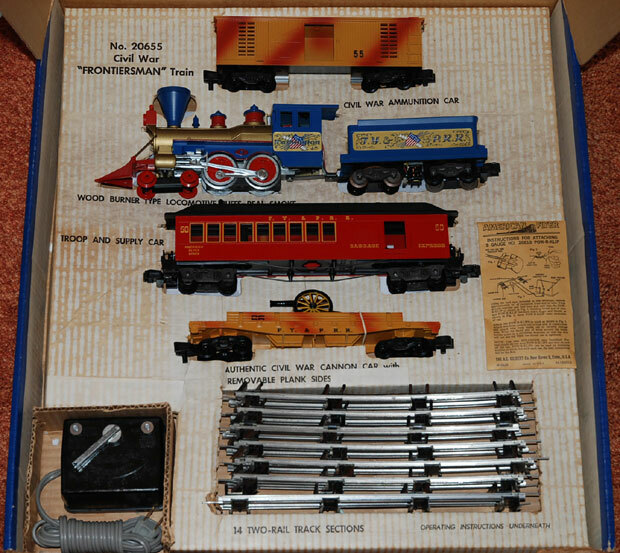 #20655 Frontiersman Freight Set made in 1900 - 1961. #21089 FY&PRR Washington 4-4-0 Frontiersman steam engine. 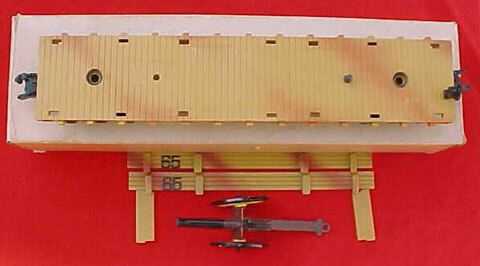 #24565 FY&PRR Flatcar with cannon made in 1960-1961. Disassembled, you can see the end pieces (often missing in auction cars) notched to fit into the sides. 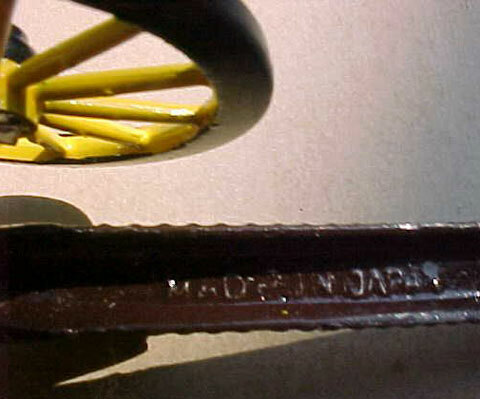 Here's how to tell the original cannon from a reproduction: "Made in Japan" is molded into the underside. In addition, the original fires tiny projectiles. 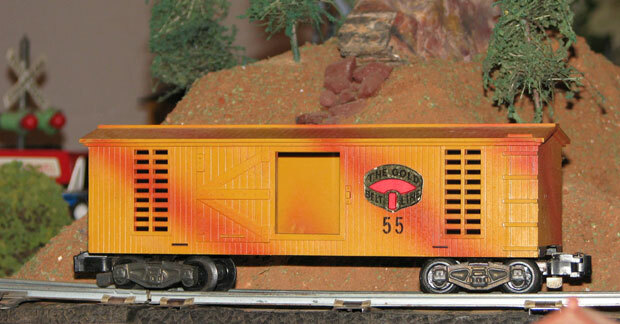 #24055 Gold Belt 55 Boxcar made in 1960-1961 with both Knuckle and Pike Master couplers. It's a little hard to see in this picture, but there is a non-operating door molded into the plastic. It was also made without that door. Unlike most American Flyer cars, the other side isn't the same. #24750 FY&PRR Combination Car made in 1960 & 1961. 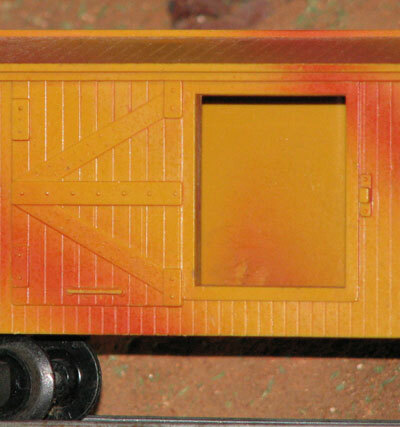 It was painted plastic. 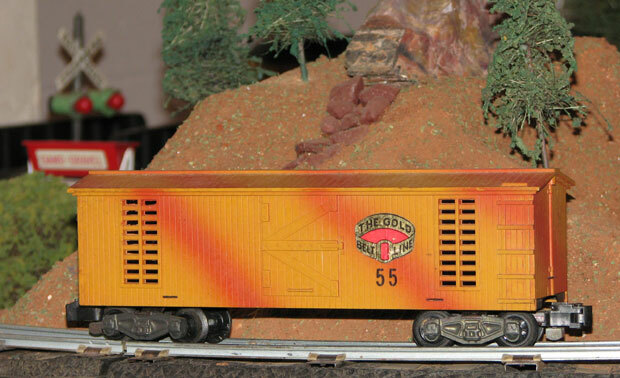 Though a passenger car, it was sold only in the #20655 Frontiersman Freight set.